As the US and EU apply sanctions on Russia over its annexation’ of Crimea, JP Sottile reveals the corporate annexation of Ukraine. For Cargill, Chevron, Monsanto, there’s a gold mine of profits to be made from agri-business and energy exploitation. The potential here for agriculture / agribusiness is amazing … production here could double … Ukraine’s agriculture could be a real gold mine. On 12th January 2014, a reported 50,000 “pro-Western” Ukrainians descended upon Kiev’s Independence Square to protest against the government of President Viktor Yanukovych. Stoked in part by an attack on opposition leader Yuriy Lutsenko, the protest marked the beginning of the end of Yanukovych’s four year-long government. That same day, the Financial Times reported a major deal for US agribusiness titan Cargill. Despite the turmoil within Ukrainian politics after Yanukovych rejected a major trade deal with the European Union just seven weeks earlier, Cargill was confident enough about the future to fork over $200 million to buy a stake in Ukraine’s UkrLandFarming. According to the Financial Times, UkrLandFarming is the world’s eighth-largest land cultivator and second biggest egg producer. And those aren’t the only eggs in Cargill’s increasingly ample basket. On 13th December 2013, Cargill announced the purchase of a stake in a Black Sea grain terminal at Novorossiysk on Russia’s Black Sea coast. The port – to the east of Russia’s strategically and historically important Crimean naval base – gives them a major entry-point to Russian markets and adds them to the list of Big Ag companies investing in ports around the Black Sea, both in Russia and Ukraine. Cargill has been in Ukraine for over two decades, investing in grain elevators and acquiring a major Ukrainian animal feed company in 2011. And, based on its investment in UkrLandFarming, Cargill was decidedly confident amidst the post-EU deal chaos. It’s a stark juxtaposition to the alarm bells ringing out from the US media, bellicose politicians on Capitol Hill and perplexed policymakers in the White House. Apparently, he wasn’t aware of Cargill’s investment, which is odd given the fact that he could’ve simply called Van A. Yeutter, Vice President for Corporate Affairs at Cargill, and asked him about his company’s quite active business plan. There is little doubt Williams has the phone number because Mr. Yuetter serves on the Executive Committee of the selfsame US-Ukraine Business Council. It’s quite a cozy investment club, too. According to his SigmaBleyzer profile, Williams “started his work regarding Ukraine in 1992” and has since advised American agribusinesses “investing in the former Soviet Union.” As an experienced fixer for Big Ag, he must be fairly friendly with the folks on the Executive Committee. In many ways, the farmland of Ukraine was the backbone of the USSR. Its fertile black soil generated over a quarter of the USSR’s agriculture. It exported substantial quantities of food to other republics and its farms generated four times the output of the next-ranking republic. Although Ukraine’s agricultural output plummeted in the first decade after the break-up of the Soviet Union, the farming sector has been growing spectacularly in recent years. While Europe struggled to shake-off the Great Recession, Ukraine’s agriculture sector grew 13.7% in 2013. Ukraine’s agriculture economy is hot. Russia’s is not. Hampered by the effects of climate change and 25 million hectares of uncultivated agricultural land, Russia lags behind its former breadbasket. According to the Centre for Eastern Studies, Ukraine’s agricultural exports rose from $4.3 billion in 2005 to $17.9 billion in 2012 and, harkening the heyday of the USSR, farming currently accounts for 25% of its total exports. Ukraine is also the world’s third-largest exporter of wheat and of corn. And corn is not just food. It is also ethanol. But people gotta eat – particularly in Europe. As Frank Holmes of US Global Investors assessed in 2011, Ukraine is poised to become Europe’s butcher. Meat is difficult to ship, but Ukraine is perfectly located to satiate Europe’s hunger. Just two days after Cargill bought into UkrLandFarming, Global Meat News reported a huge forecasted spike in “all kinds” of Ukrainian meat exports, with an increase of 8.1% overall and staggering 71.4% spike in pork exports. No wonder Eli Lilly is represented on the US-Ukraine Business Council’s Executive Committee. Its Elanco Animal Health unit is a major manufacturer of feed supplements. And it is also notable that Monsanto’s planned seed plant is non-GMO, perhaps anticipating an emerging GMO-unfriendly European market and Europe’s growing appetite for organic foods. When it comes to Big Ag’s profitable future in Europe, the stakes couldn’t be higher. For Russia and its hampered farming economy, it’s another in a long string of losses to US encroachment – from NATO expansion into Eastern Europe to US military presence to its south and onto a major shale gas development deal recently signed by Chevron in Ukraine. So, why was Big Ag so bullish on Ukraine, even in the face of so much uncertainty and the predictable reaction by Russia? The answer is that the seeds of Ukraine’s turn from Russia have been sown for the last two decades by the persistent Cold War alliance between corporations and foreign policy. It’s a version of the ‘Deep State‘ that is usually associated with the oil and defense industries, but also exists in America’s other heavily subsidized industry – agriculture. As President of the US-Ukraine Business Council, Williams has access to Council cohort – David Kramer, President of Freedom House. Officially a non-governmental organization, it has been linked with overt and covert ‘democracy’ efforts in places where the door isn’t open to American interests – aka US corporations. 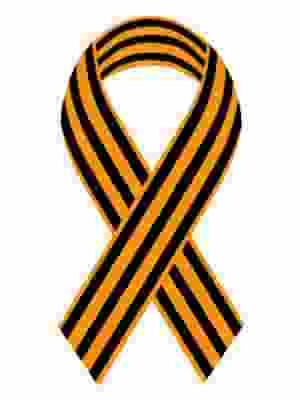 Freedom House, the National Endowment for Democracy and National Democratic Institute helped fund and support the Ukrainian ‘Orange Revolution’ in 2004. Freedom House is funded directly by the US Government, the National Endowment for Democracy and the US Department of State. David Kramer is a former Deputy Assistant Secretary of State for European and Eurasian Affairs and, according to his Freedom House bio page, formerly a Senior Fellow at the Project for the New American Century. That puts Kramer and, by one degree of separation, Big Ag fixer Morgan Williams in the company of PNAC co-founder Robert Kagan who, as coincidence would have it, is married to Victoria “F*ck the EU” Nuland, the current Assistant Secretary of State for European and Eurasian Affairs. Nuland also told the group that the United States had invested more than $5 billion in support of Ukraine’s “European aspirations” – meaning pulling Ukraine away from Russia. She made her remarks on a dais featuring a backdrop emblazoned with a Chevron logo. Also, her colleague and phone call buddy US Ambassador to Ukraine Geoffrey Pyatt helped Chevron cook up their 50-year shale gas deal right in Russia’s kitchen. Although Chevron sponsored that event, it is not listed as a supporter of the Foundation. But the Foundation does list the Coca-Cola Company, ExxonMobil and Raytheon as major sponsors. And, to close the circle of influence, the US-Ukraine Business Council is also listed as a supporter. Which brings the story back to Big Ag’s fixer – Morgan Williams. Of course, his priority is to ensure that the bread of well-connected businesses gets lavishly buttered in Russia’s former breadbasket. And there is no better connected group of Ukraine-interested corporations than American agribusiness. Given the extent of US official involvement in Ukrainian politics – including the interesting fact that Ambassador Pyatt pledged US assistance to the new government in investigating and rooting-out corruption – Cargill’s seemingly risky investment strategy probably wasn’t that risky, after all. J P Sottile is a freelance journalist, radio co-host, documentary filmmaker and former broadcast news producer in Washington, D.C. His weekly show, Inside the Headlines w/ The Newsvandal, co-hosted by James Moore, airs every Friday on KRUU-FM in Fairfield, Iowa. He blogs at Newsvandal.com.